Form Description: Designed for those selling tangible items. You can specify the description of the item, its price, how many were sold, and the extension (price x quantity). You can also indicate any tax charges for the order. Form is full-page, in portrait orientation. You can download a PDF version of the "Simple Product Invoice" form absolutely free. You can also, for a small payment, download a fully editable version of the form that you can customize as you desire. (Don't know which format to choose? Here's how to make your choice.) What would you like to do? 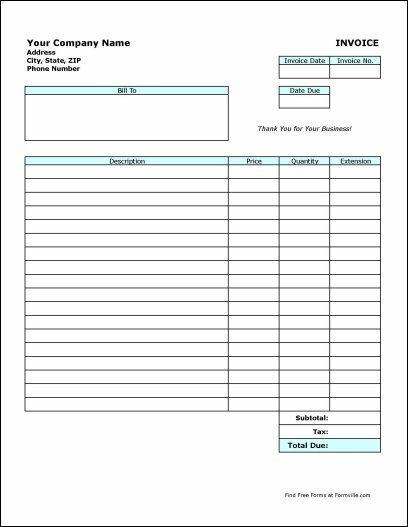 Formville's free "Simple Product Invoice" form is associated with the following keywords: invoice, invoice template, sample invoice, commercial invoice, invoice form, invoice example, blank invoice, business invoice, product invoice.